It’s been a busy month in the world of Article 50. 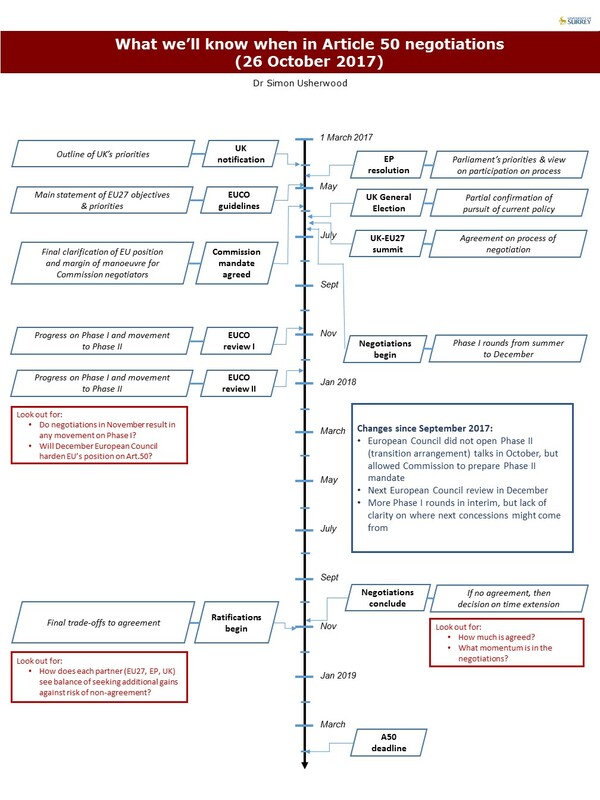 The European Council last week confirmed that ‘sufficient progress’ in Phase I had not been achieved, but did allow the Commission to begin work on a mandate for Phase II, so that should the December review be positive work can immediately shift over. 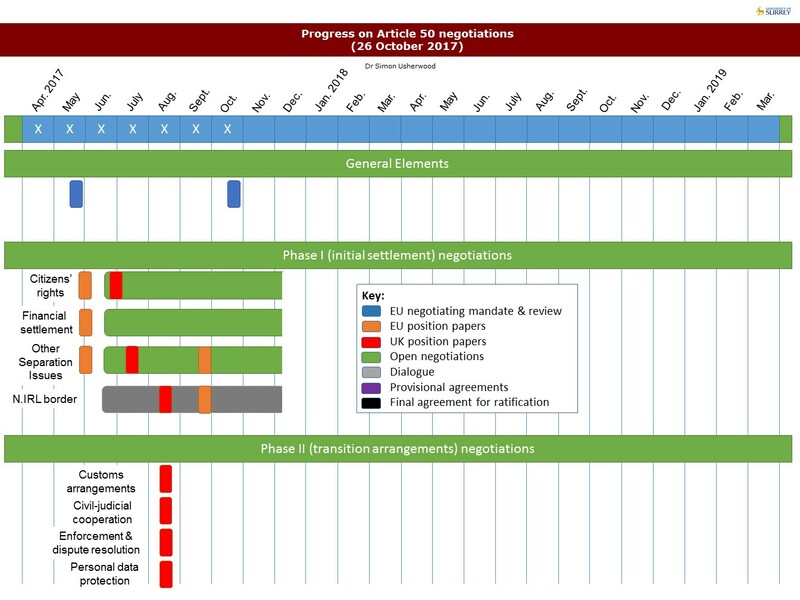 This reflects the continued desire on the EU side to reach a deal, but also its intention not to let Phase I issues slide. 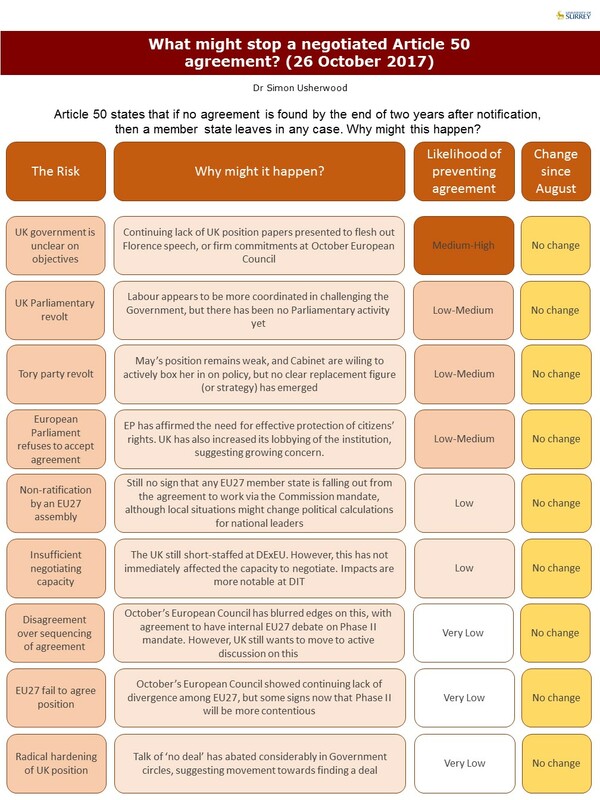 In addition to our regular diet of infographics, there’s also one I’ve produced for our Negotiating Brexit project, which summarises positions of other member states in the process: I’ll be updating that on a slower cycle than these. As always, if you have suggestions on changes or improvements, I’d be very happy to hear from you. And do note that the PDF versions (links at bottom) have embedded links to documents.